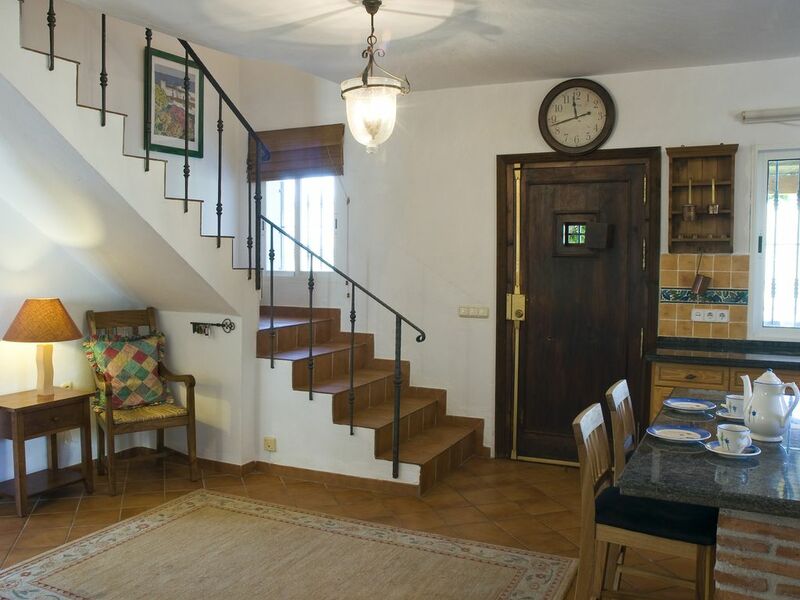 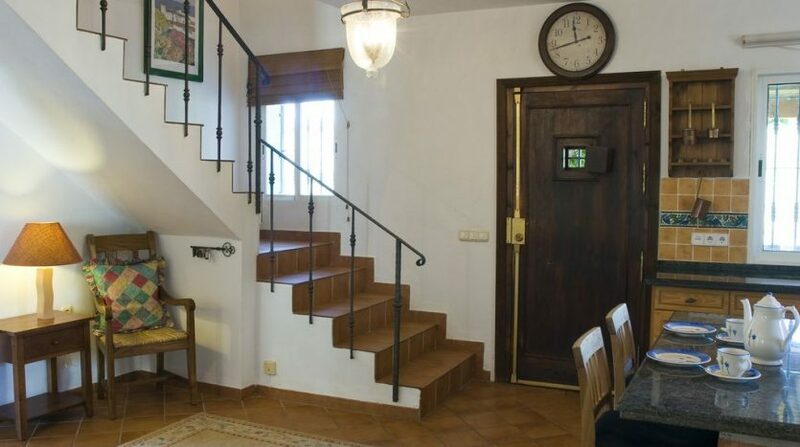 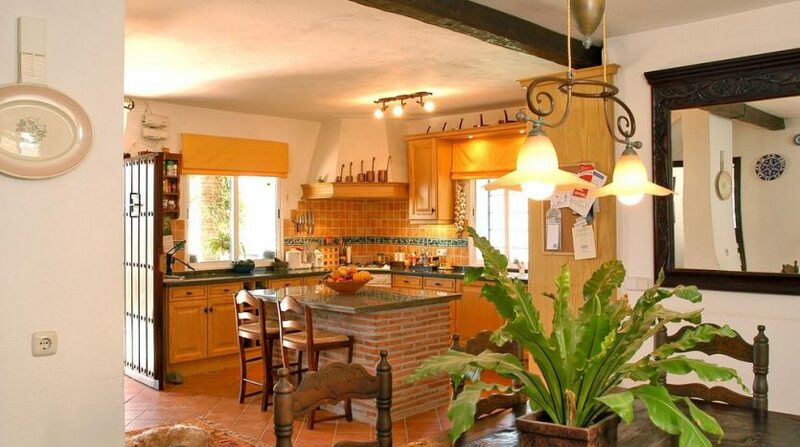 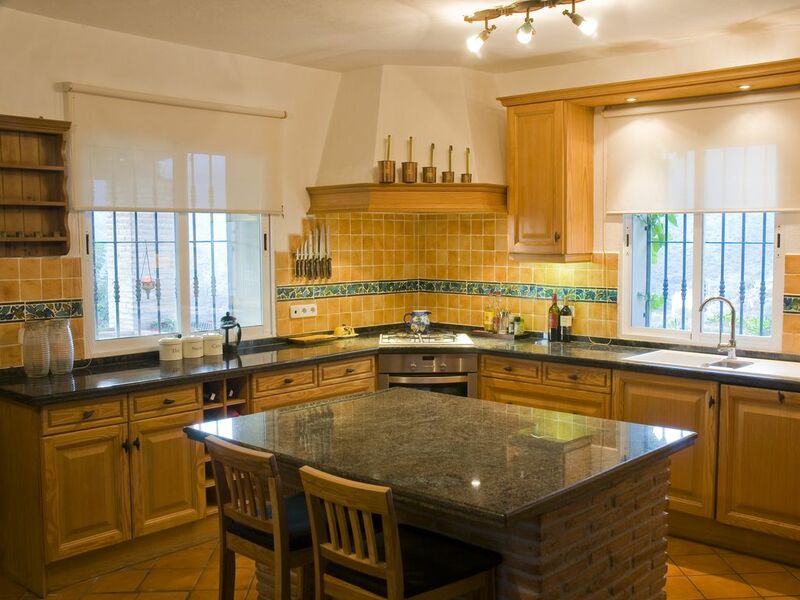 This charming rustic villa was built in 1998 and was completely reformed in 2006. 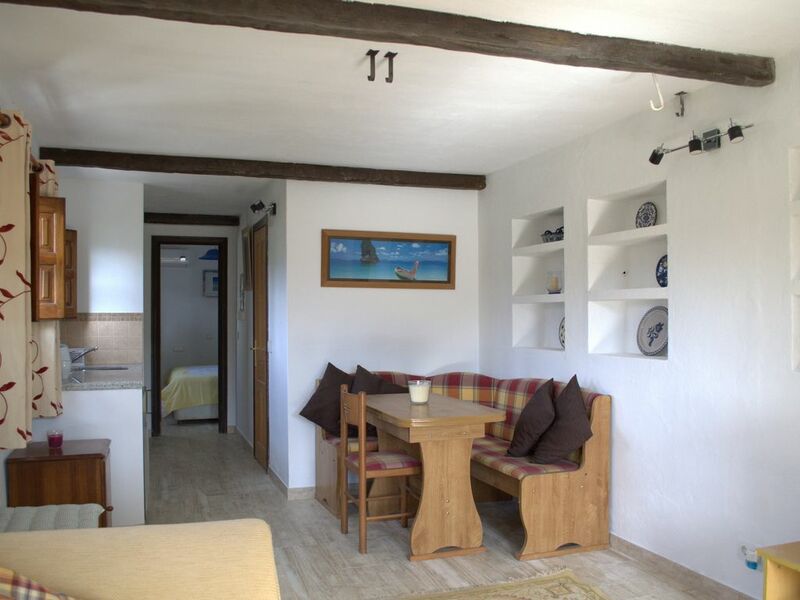 The property offers a comfortable main home, a separate guest cottage and a location which really does offer the best of both worlds. 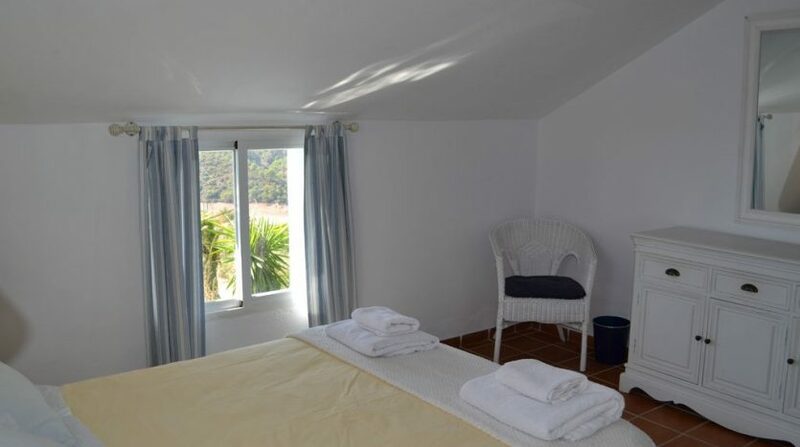 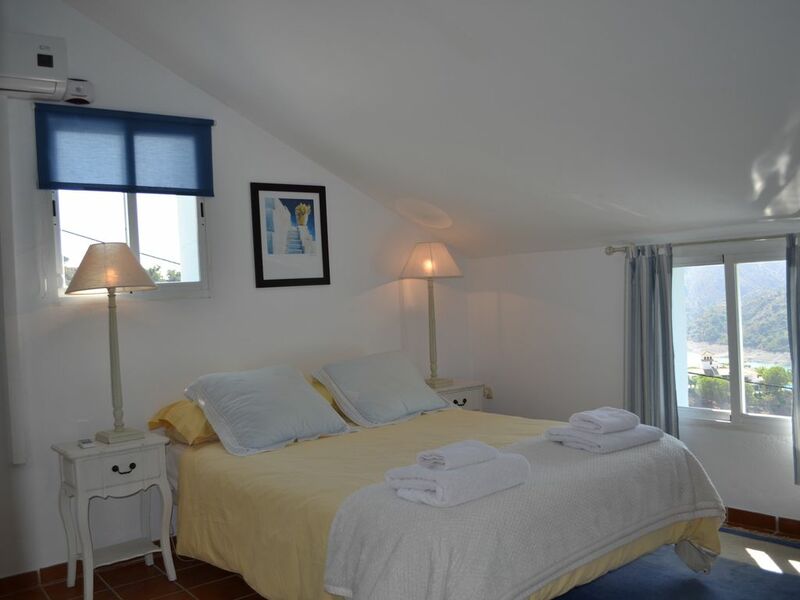 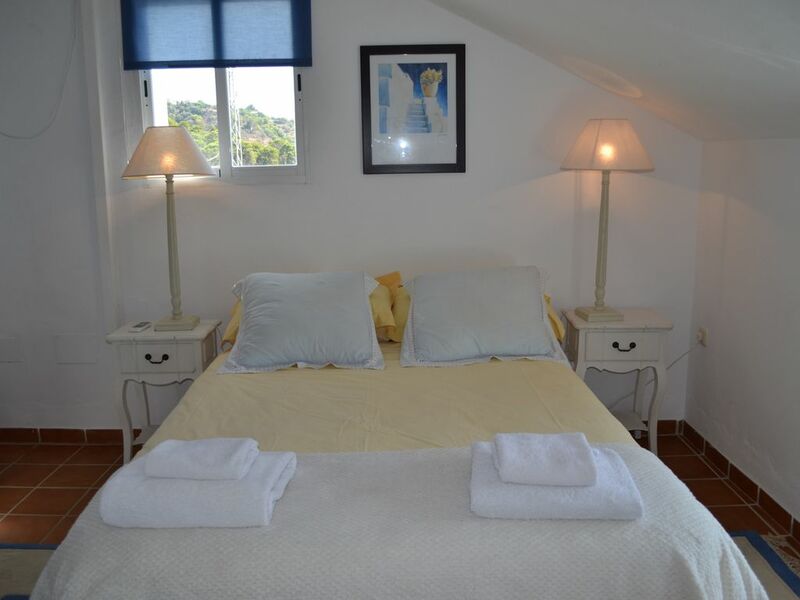 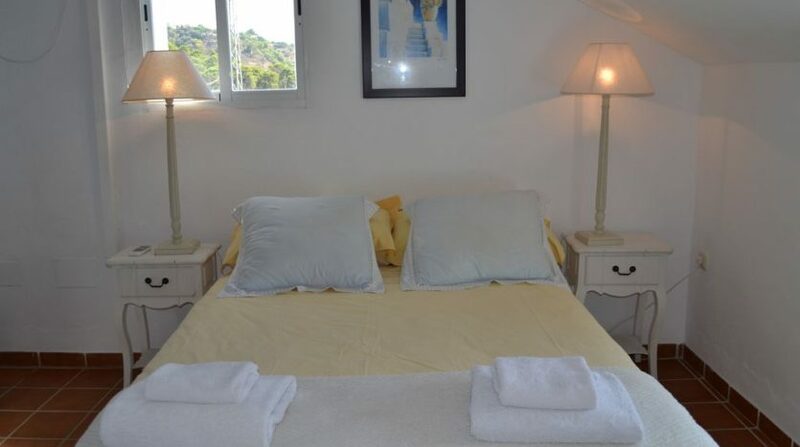 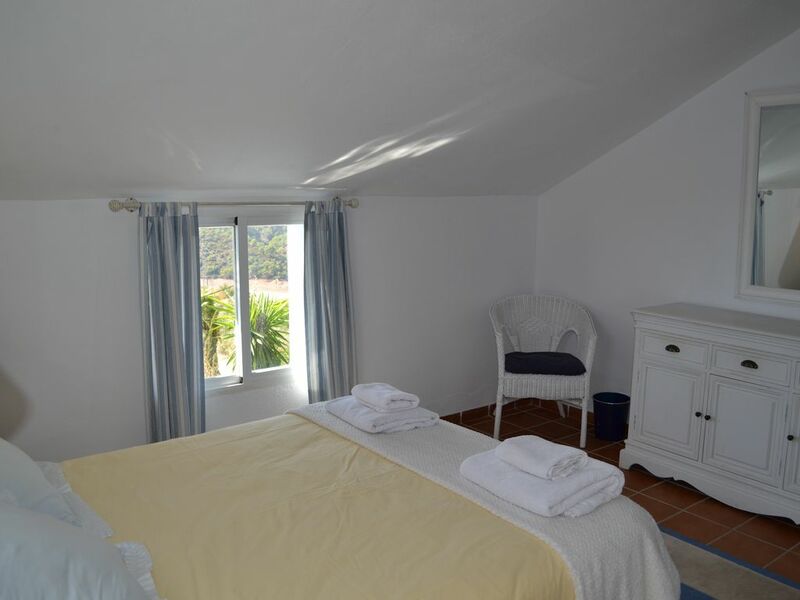 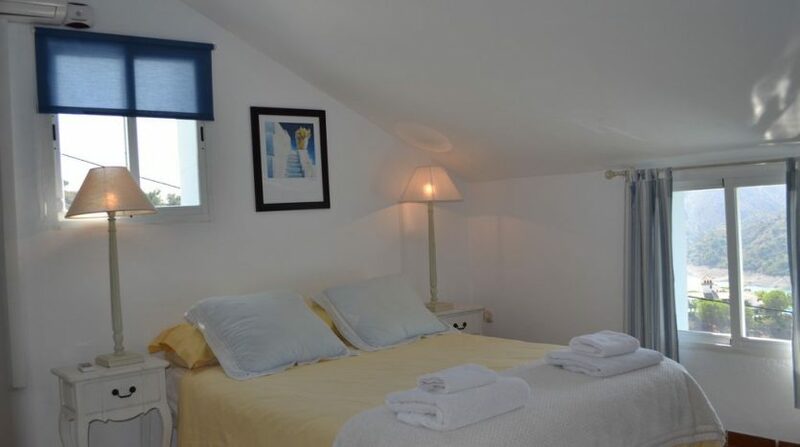 Currently used as a holiday home for the owners and when not in use, it is a very successful holiday rental. 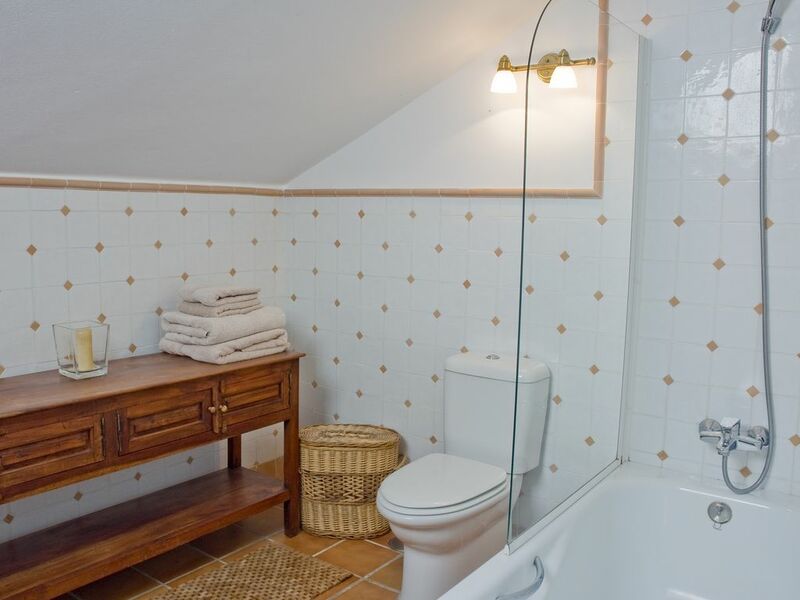 The future use of the property offers a huge amount of flexibility for new owners with the main house and separate guest cottage ideal for friends, family or paying guests. 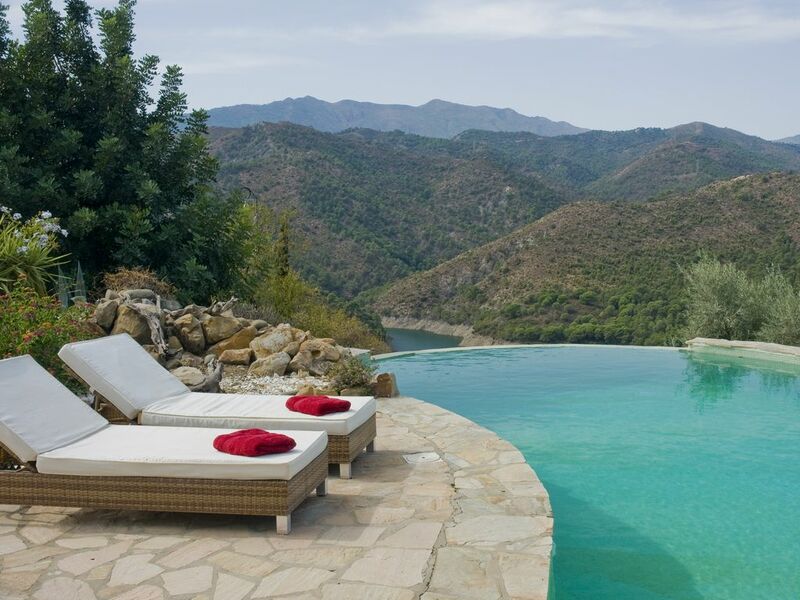 The outside space makes the most of the amazing views and the infinity pool is a real feature – the gardens surrounding the house were professionally designed and installed and help to create a mature atmosphere about the property. 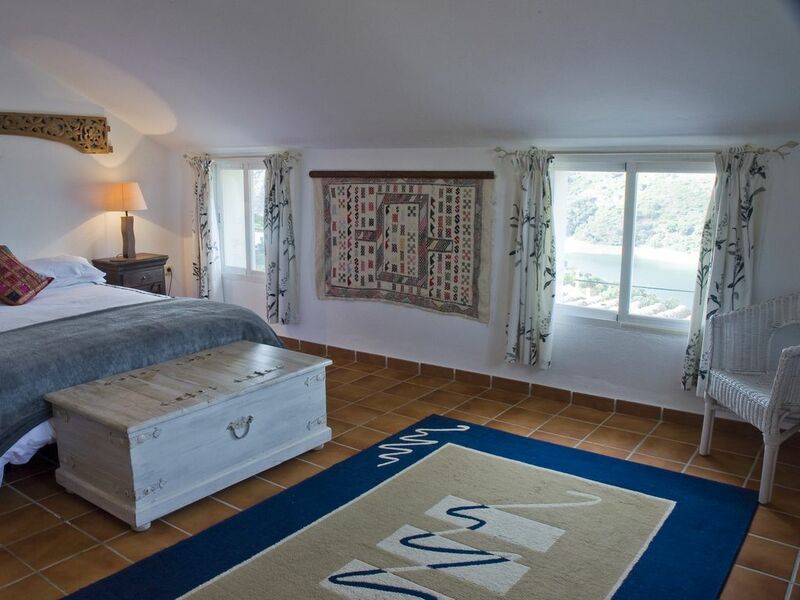 The main house comprises 3 bedrooms and 2 bathrooms on the first floor – the master bedroom benefitting from the en-suite shower room. 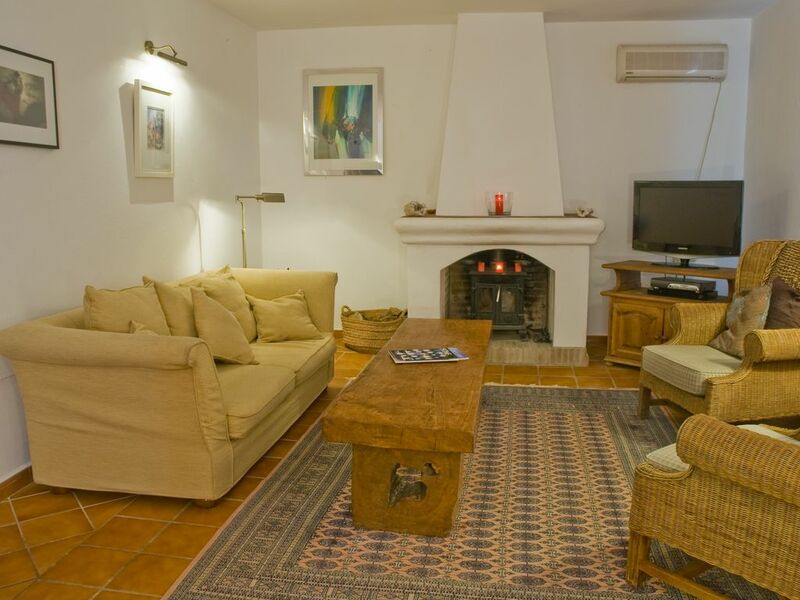 On the ground floor is a lovely dual aspect living room with feature fireplace. 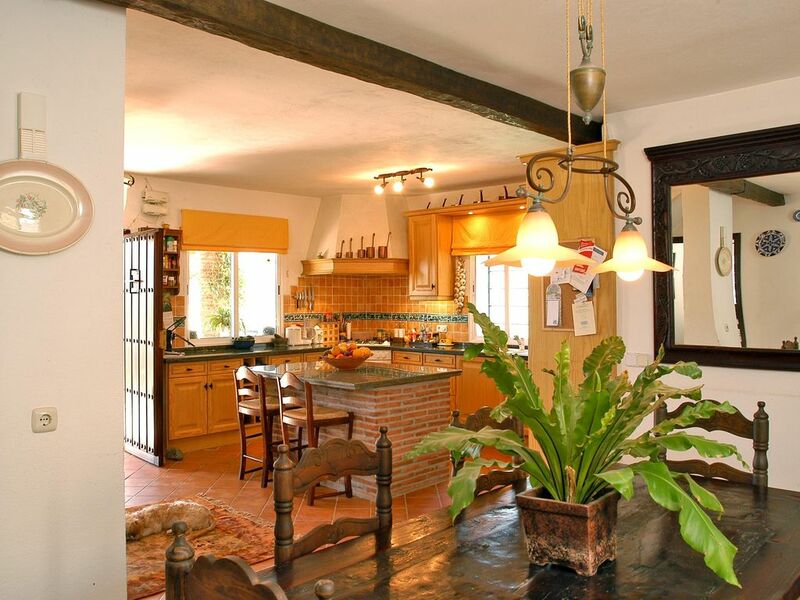 The open plan kitchen and dining room really do feel like the heart of the house with a great flow to the outside terraces and gardens. 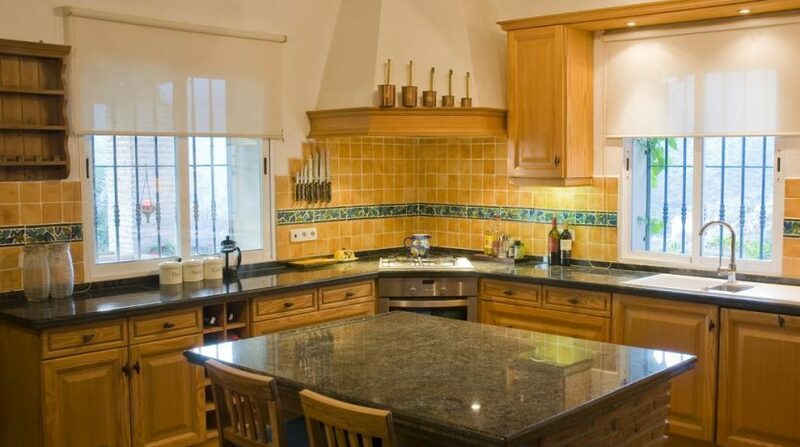 The kitchen is very well fitted with wall and base units and a central island creates a great space for entertaining. 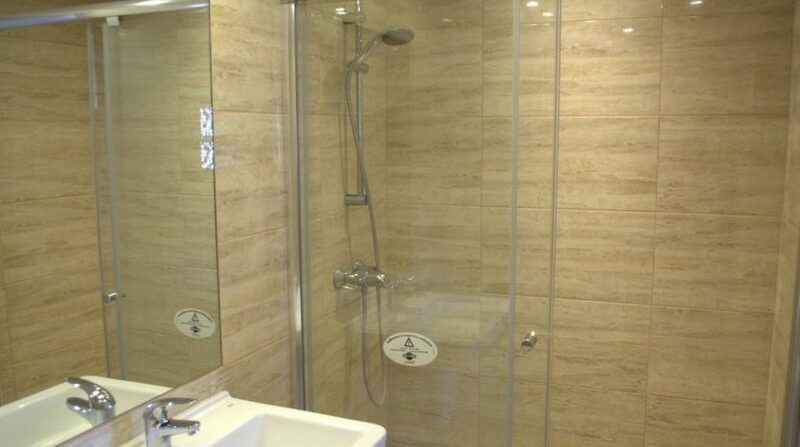 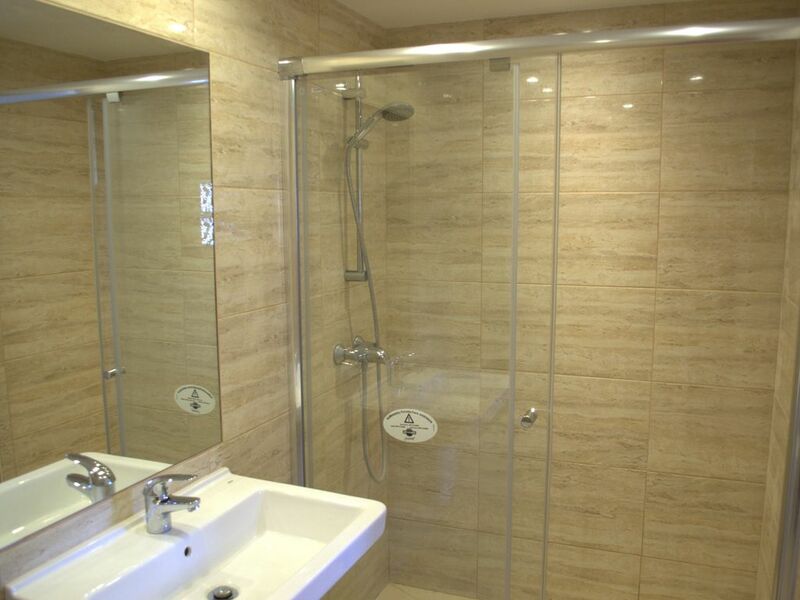 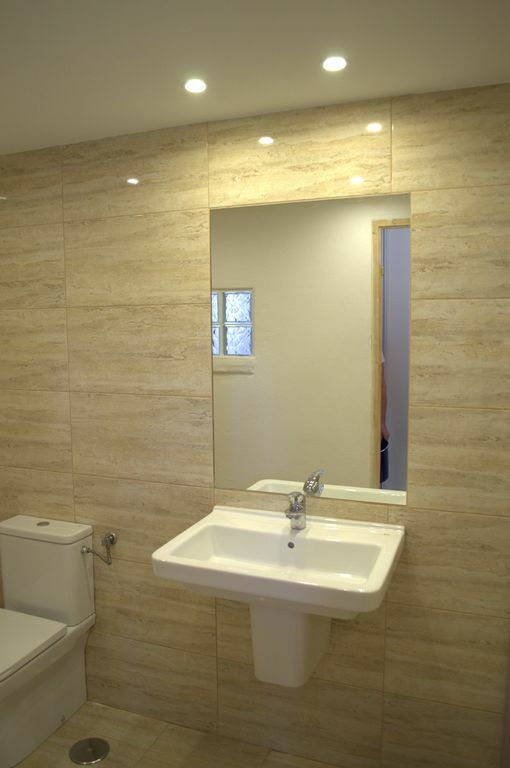 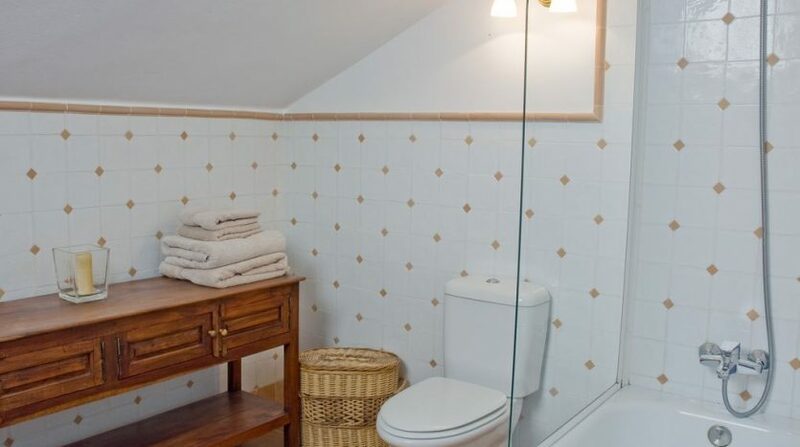 There is also a utility room which has plenty of storage space and room for freezer and washing machine. 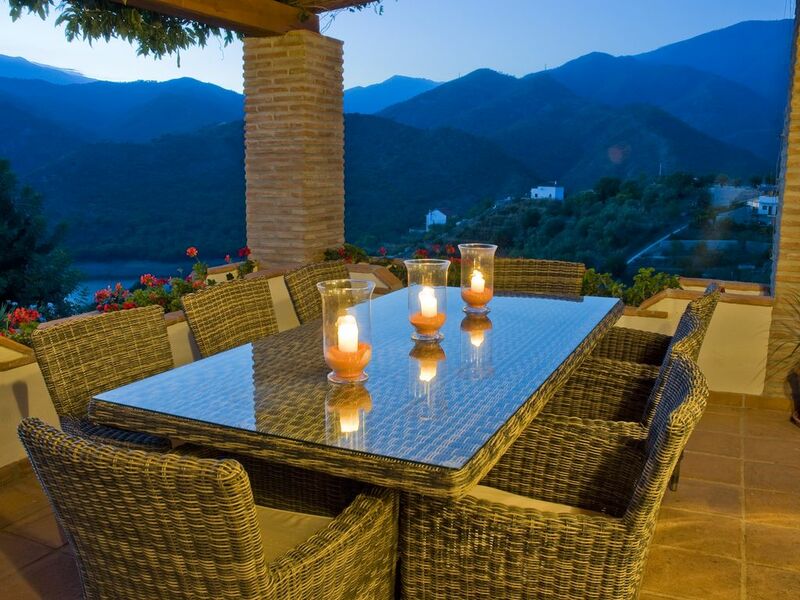 The outside space is perfect for enjoying the best of the views and for relaxing and entertaining. 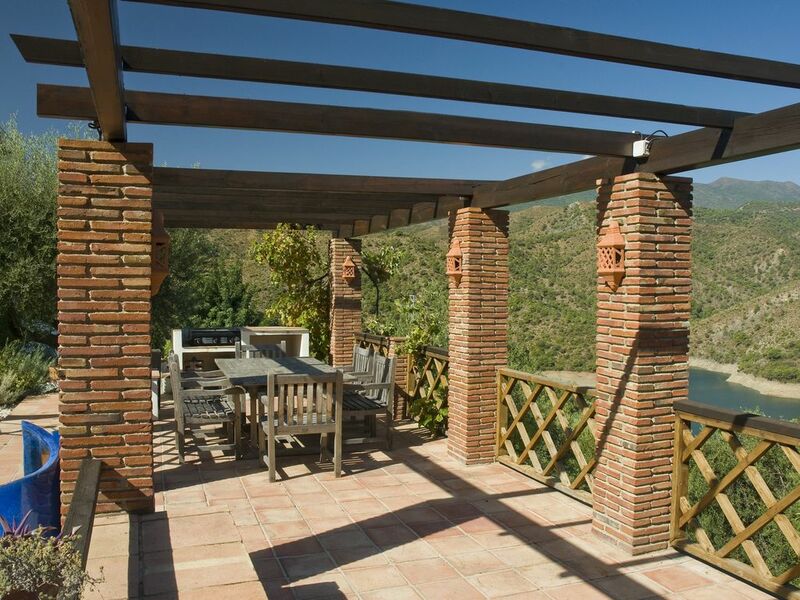 There are 180 degree rural lake views from covered and open terraces and a large barbecue terrace. 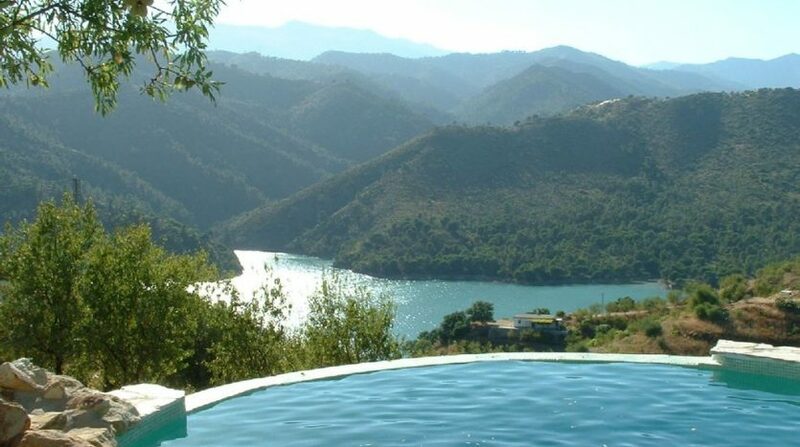 The pool area is a delight – plenty of space for sunbathing and relaxing and with the infinity end overlooking the lake, it really is a feature that everyone will talk about. 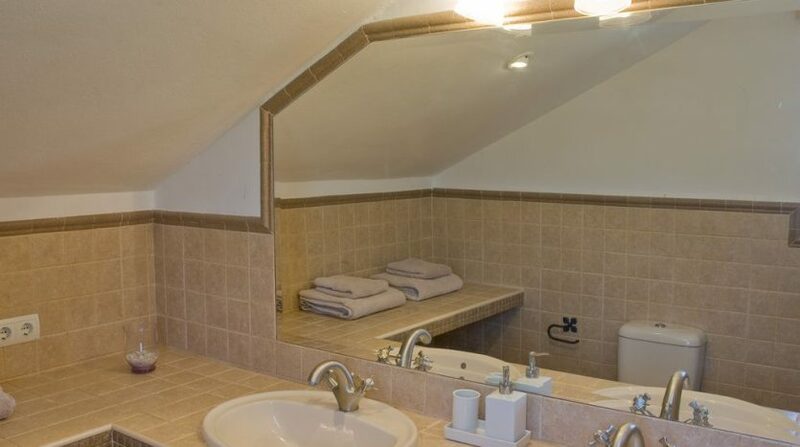 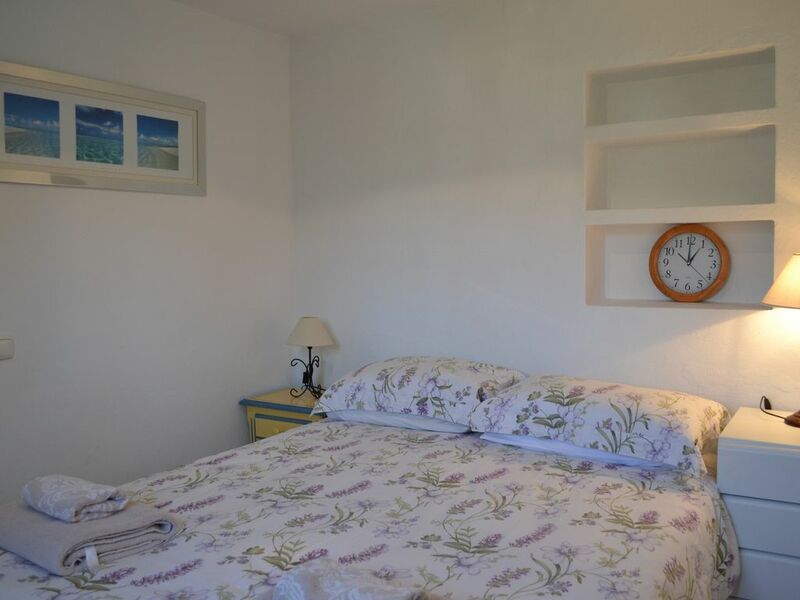 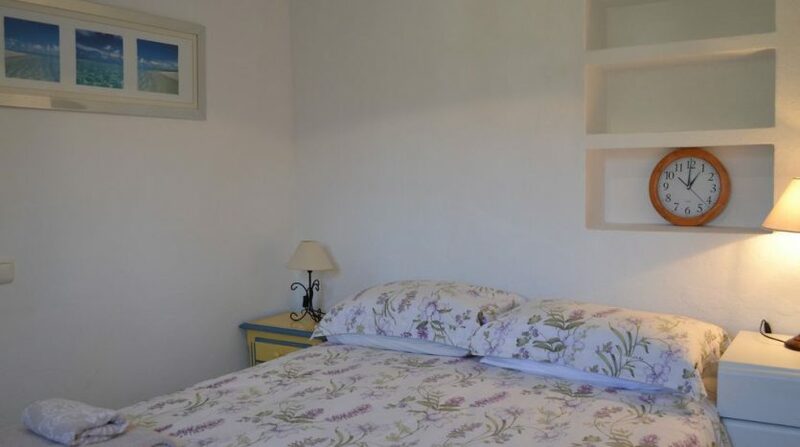 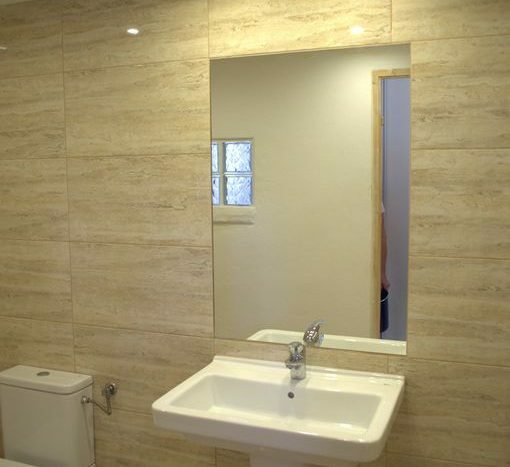 The guest cottage comprises an open plan living/dining room and kitchen, a separate double bedroom, large bathroom with walk in shower and plenty of wardrobe/storage space. 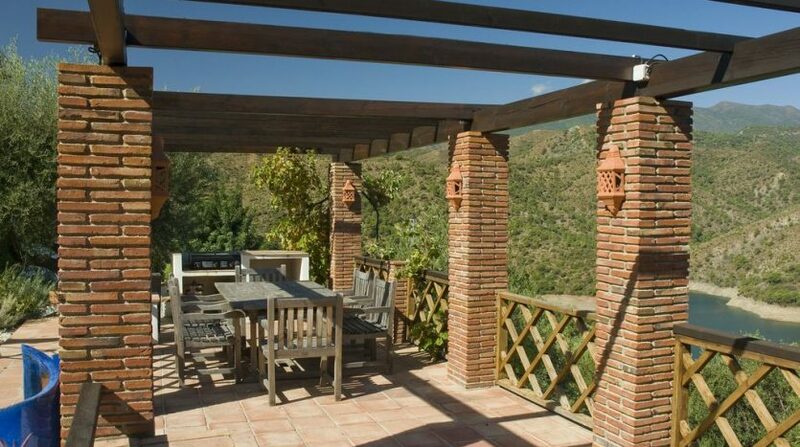 The guest cottage also has a terrace perfect for soaking up the views. 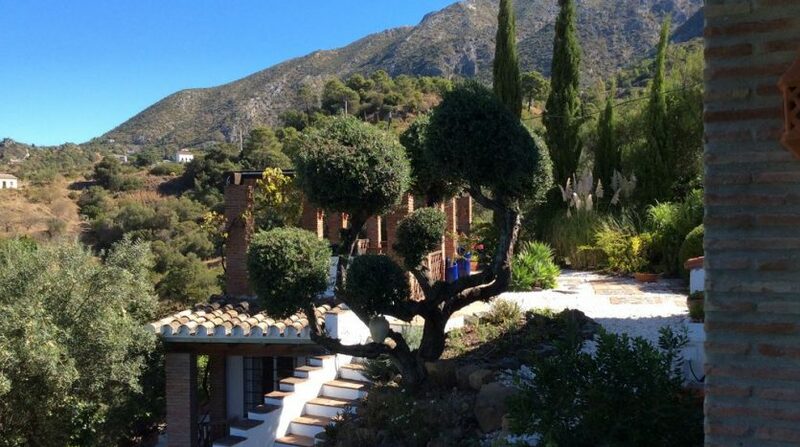 The gardens that surround the property are beautiful and were featured on the Ground Force programme in the UK – mature planting, carefully located feature trees and plants and the remainder of the land totalling nearly 2 acres make this a great home for the gardener or the enthusiast who wants to harvest the 220 olive trees. 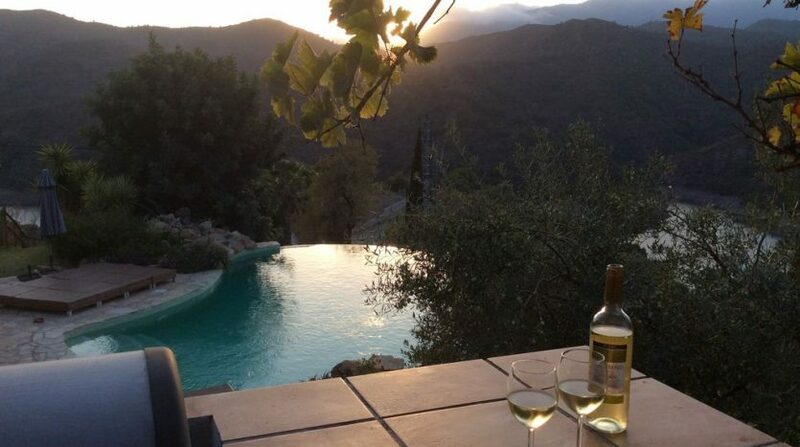 Why not bottle your very own single estate extra virgin olive oil! 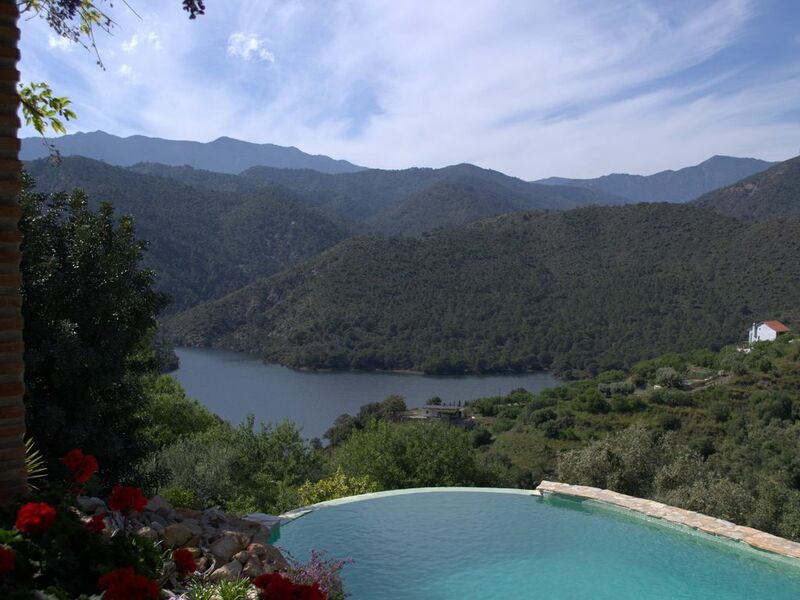 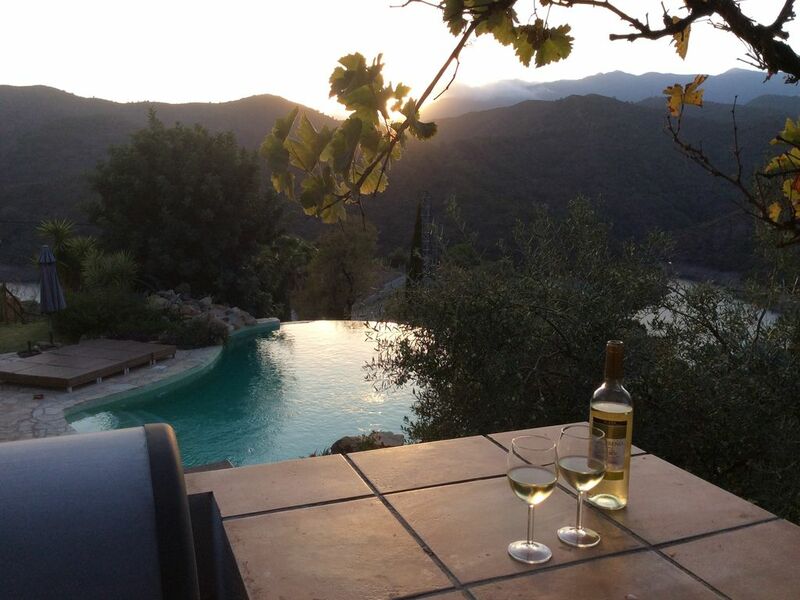 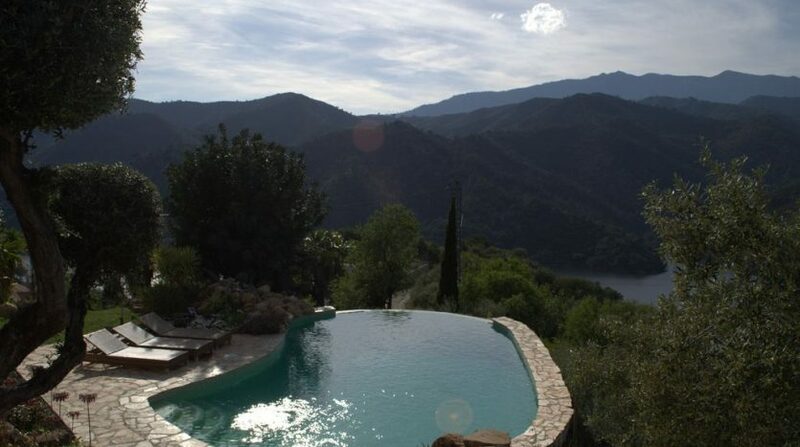 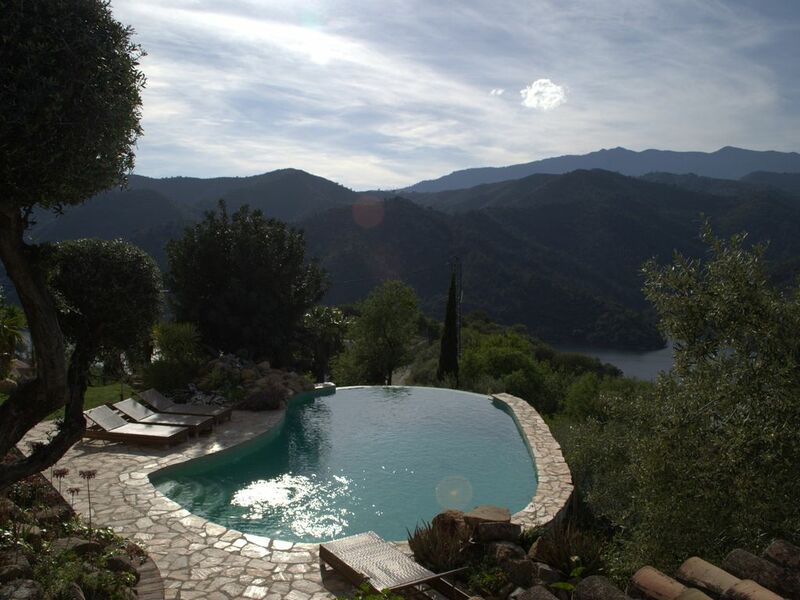 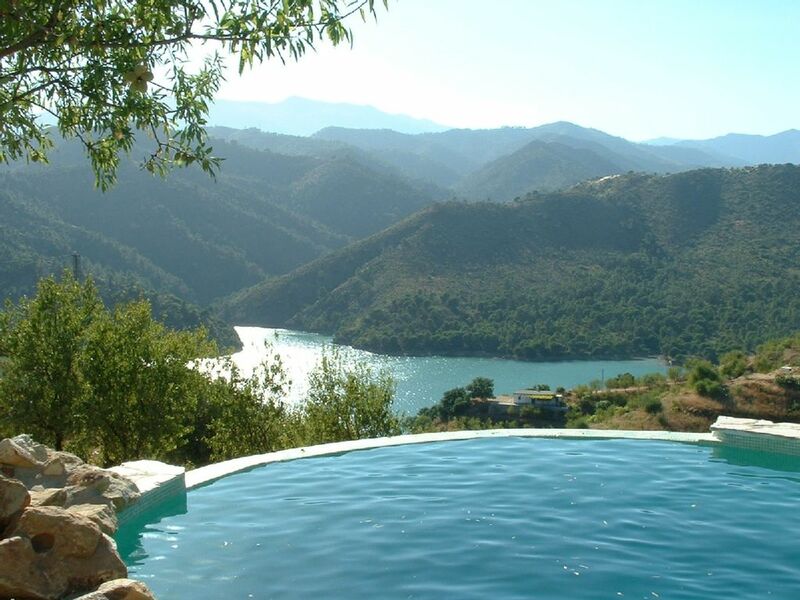 ♦ Private access to the lake – perfect for water sports or a swim! 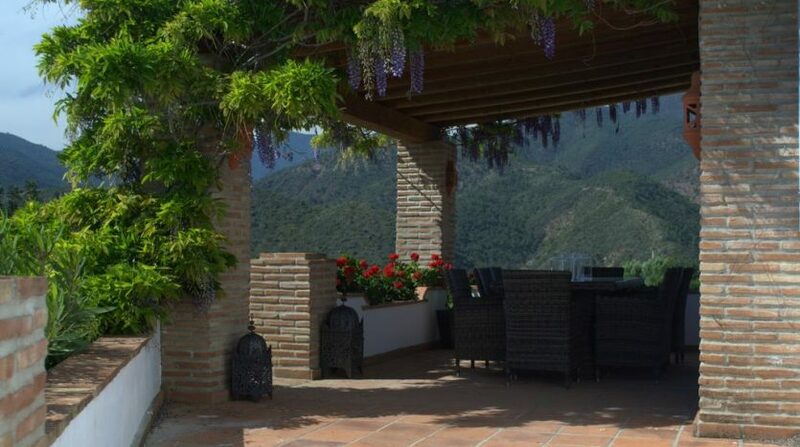 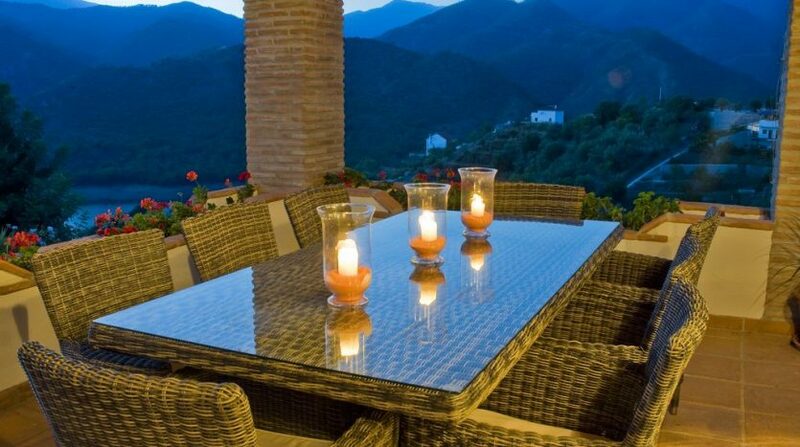 The villa is located in a superb position overlooking Istán lake and the surrounding mountains, a peaceful position but within easy reach of Marbella, Puerto Banus and the rest of the Costa del Sol. 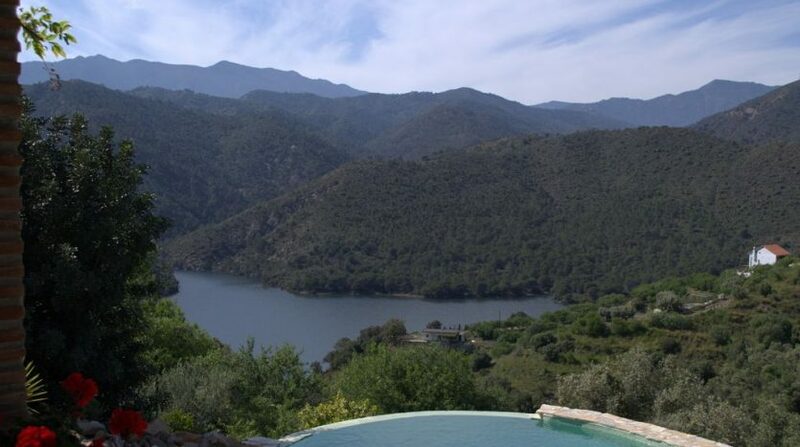 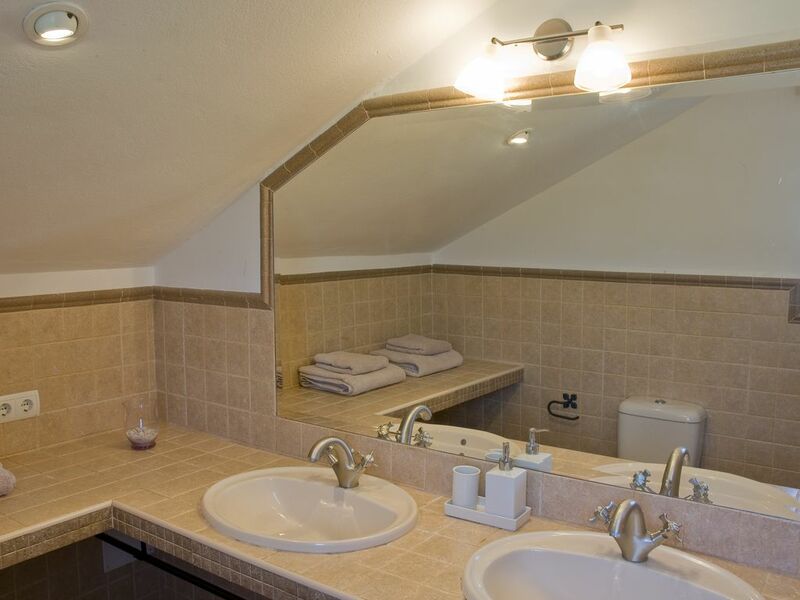 The property is well placed for access to numerous Golf Courses and with the lake close by, it is the perfect spot for fishing and kayaking or taking a swim in the summer. 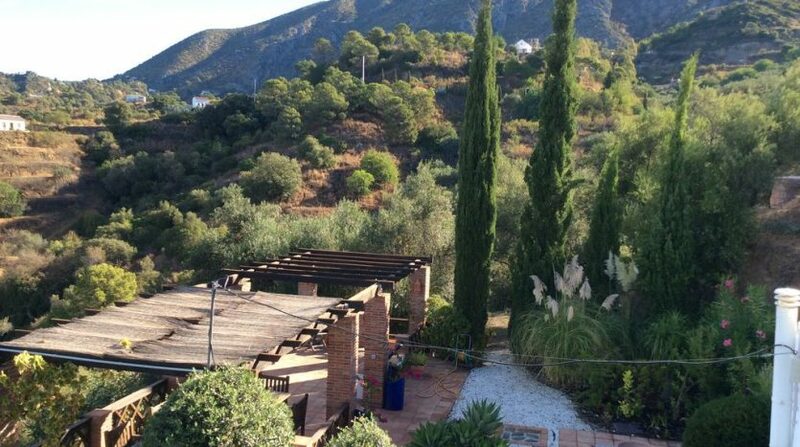 The property has private access to the lake and there is great walking for all levels in the surrounding countryside and horse riding is available locally. 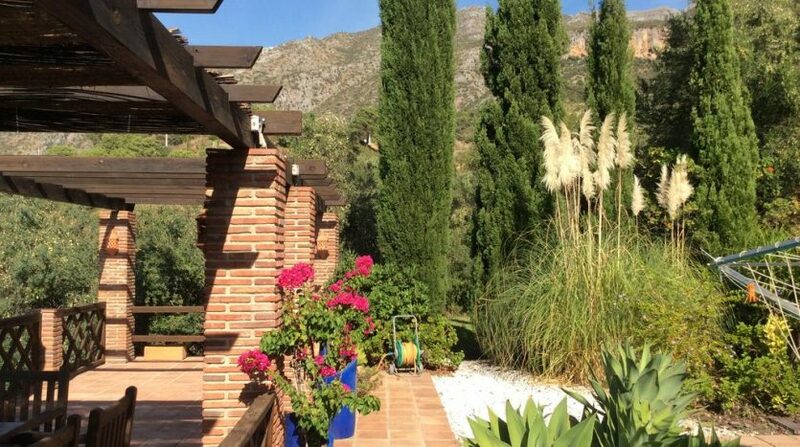 The Costa del Sol is famous for its beaches and being just 10kms away, there is a great range of beaches to cater for all tastes. 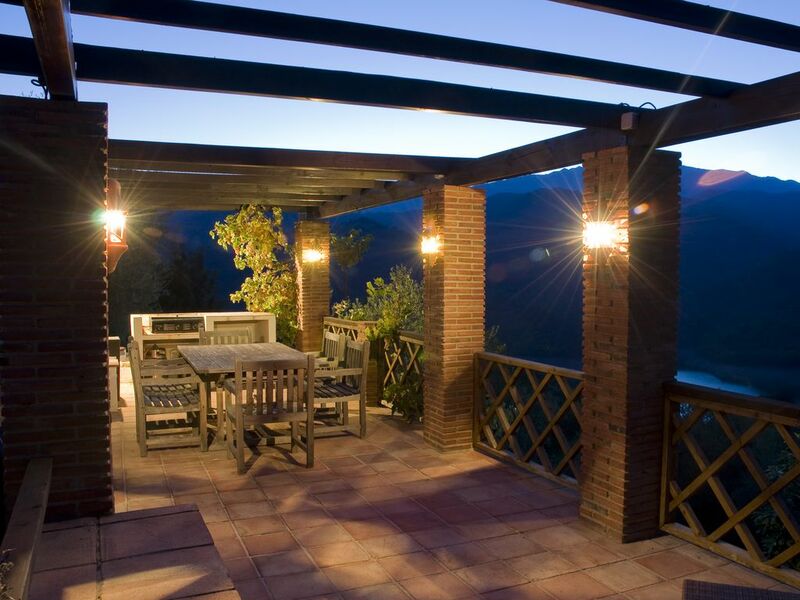 Equally, if nightlife is what you seek, the vibrant marina of Puerto Banus is only 9kms from the finca. 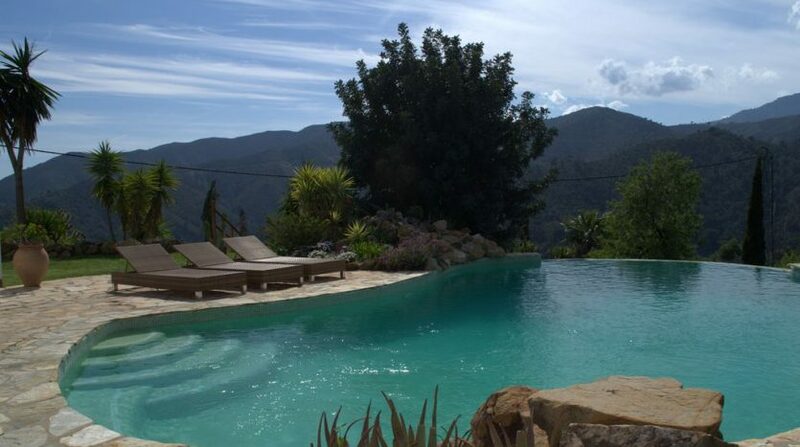 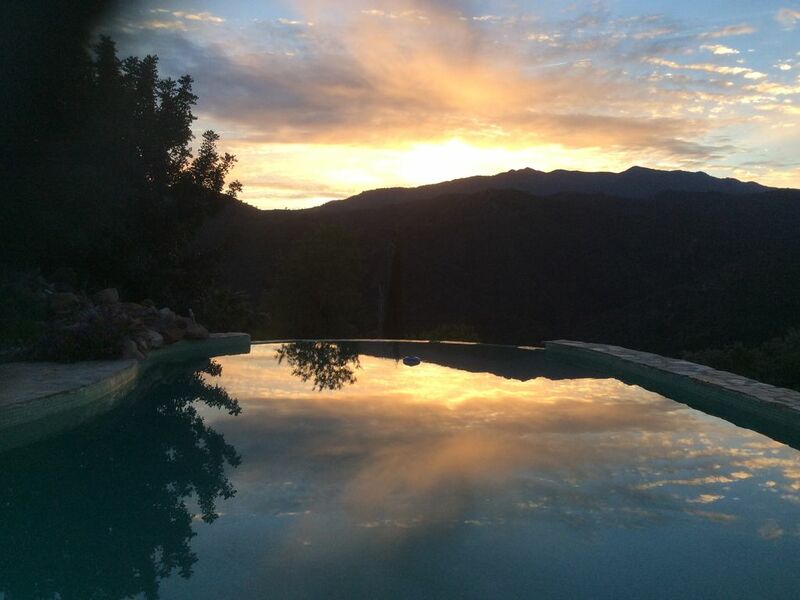 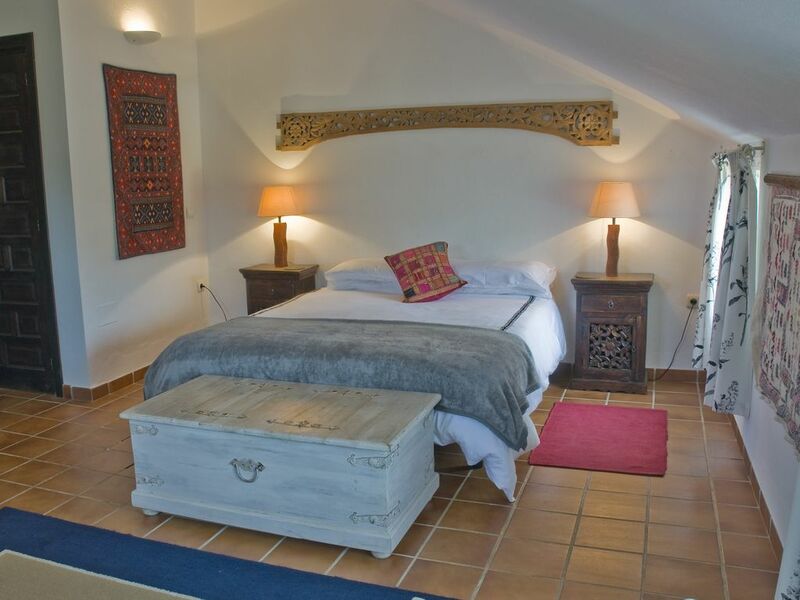 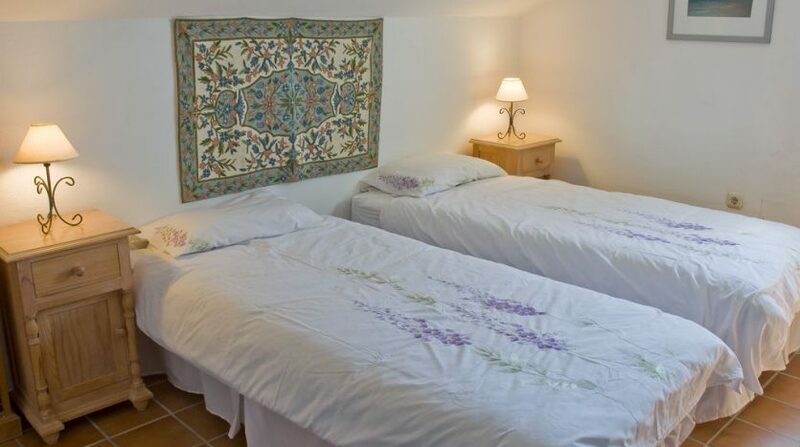 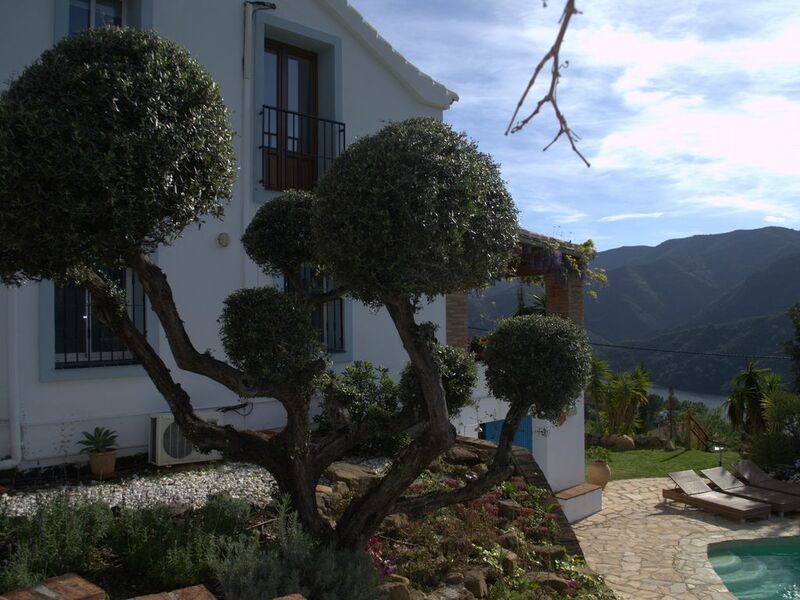 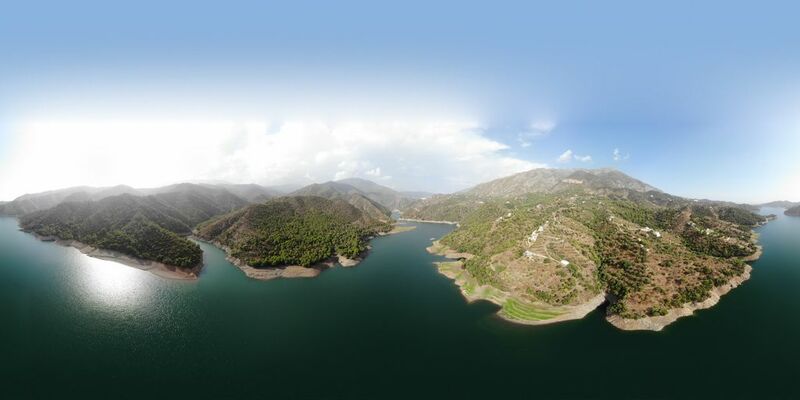 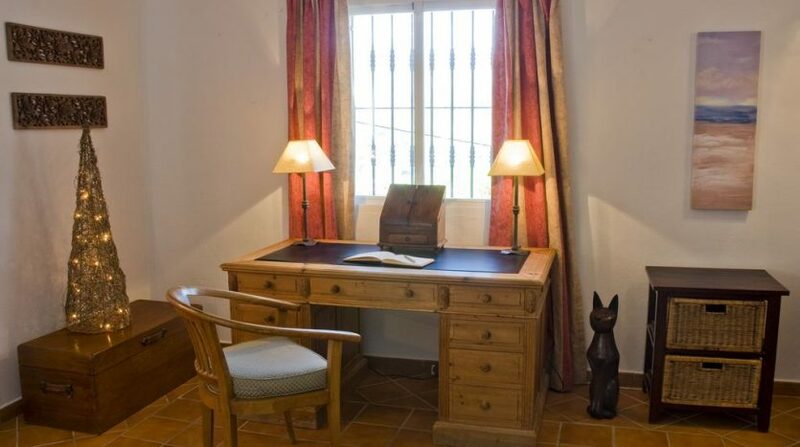 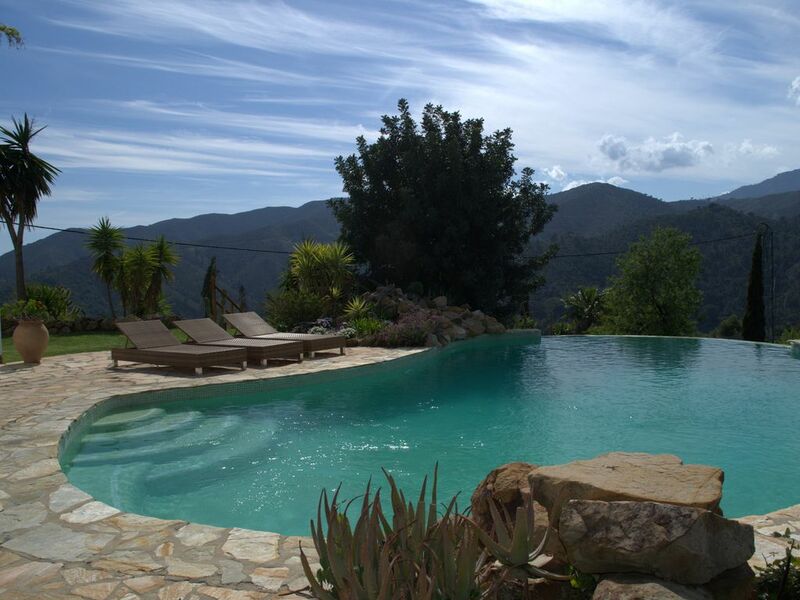 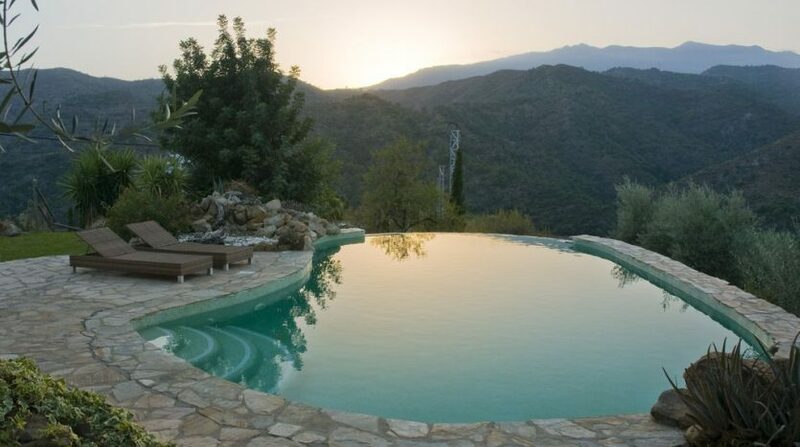 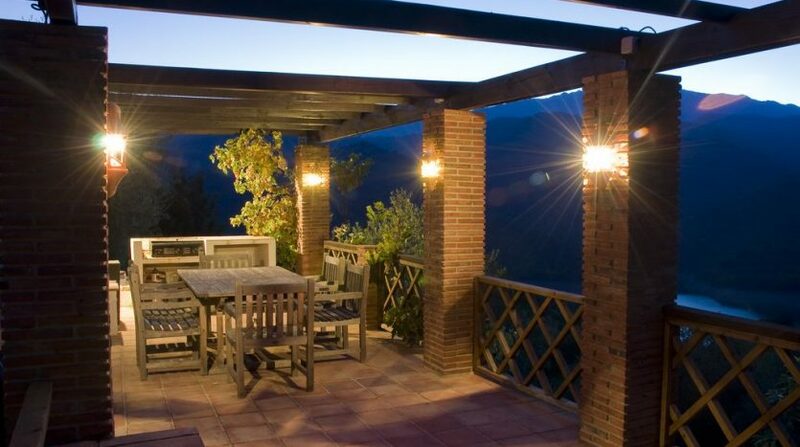 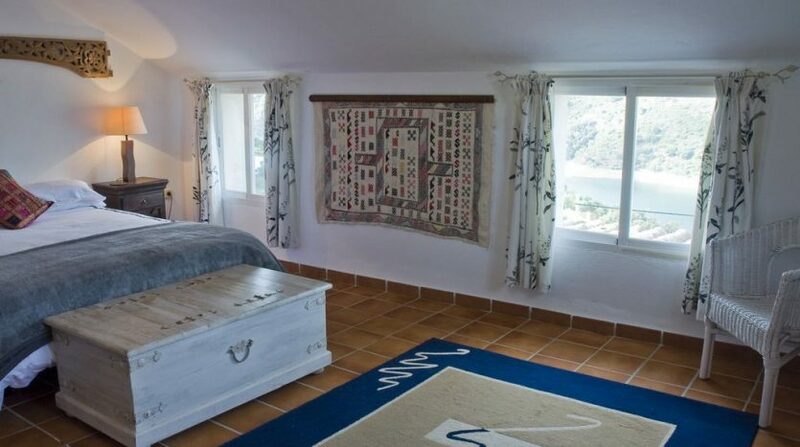 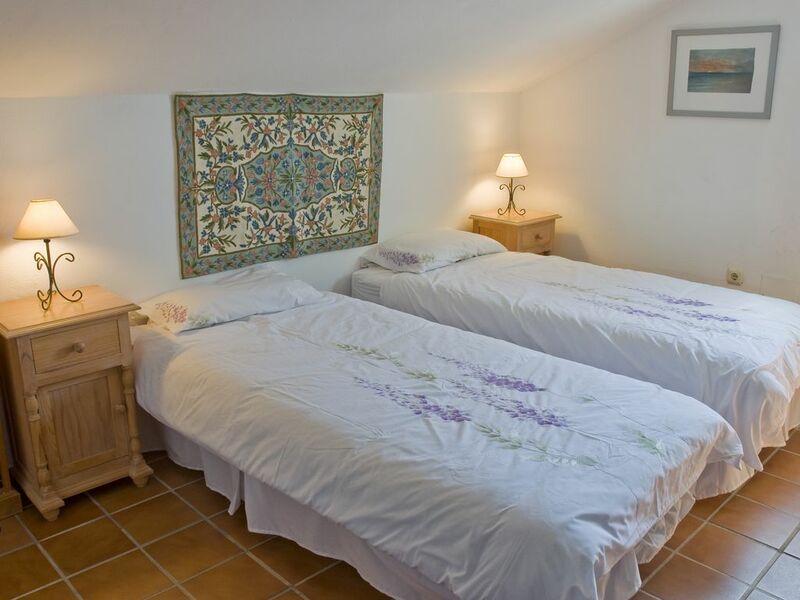 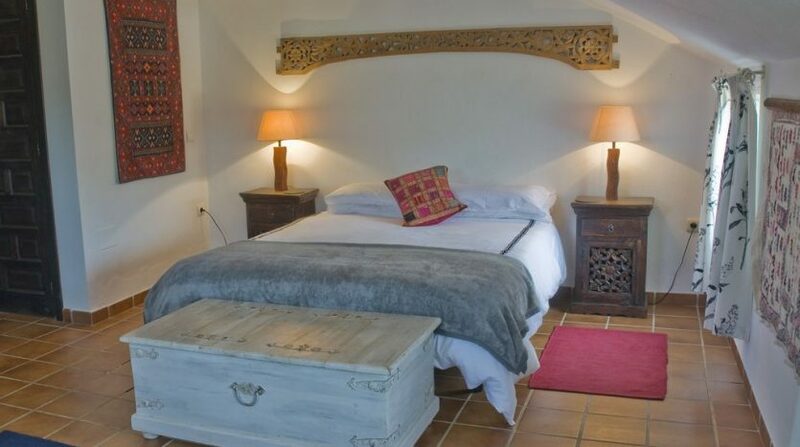 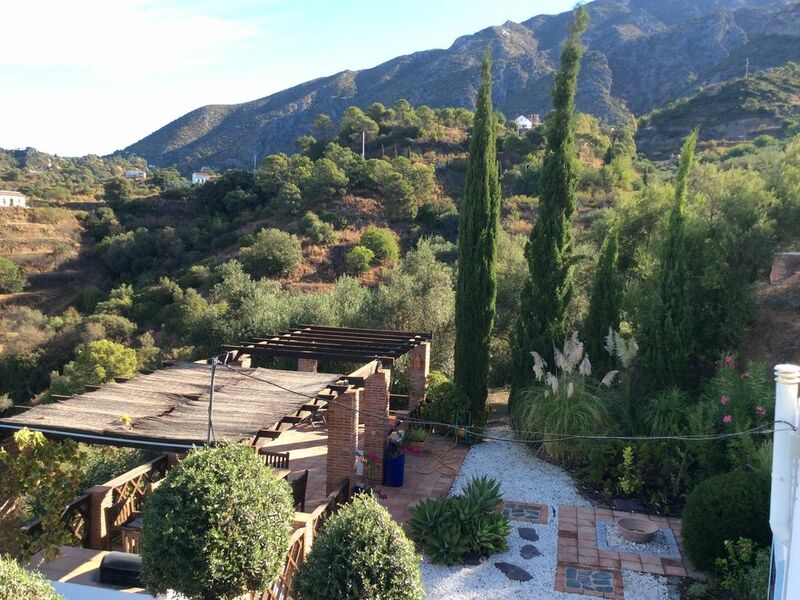 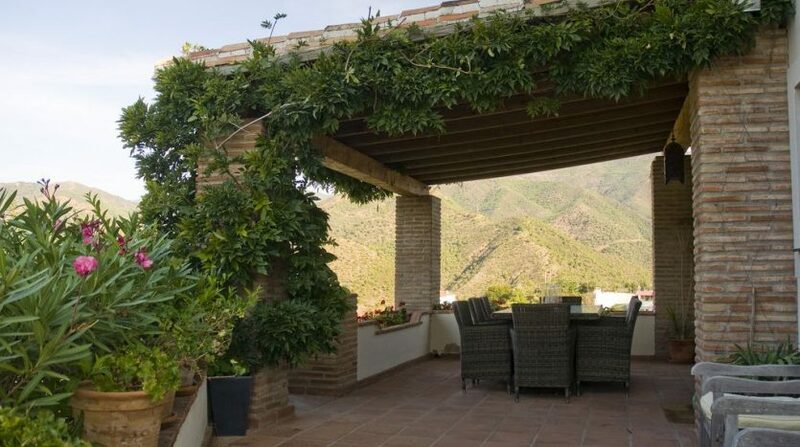 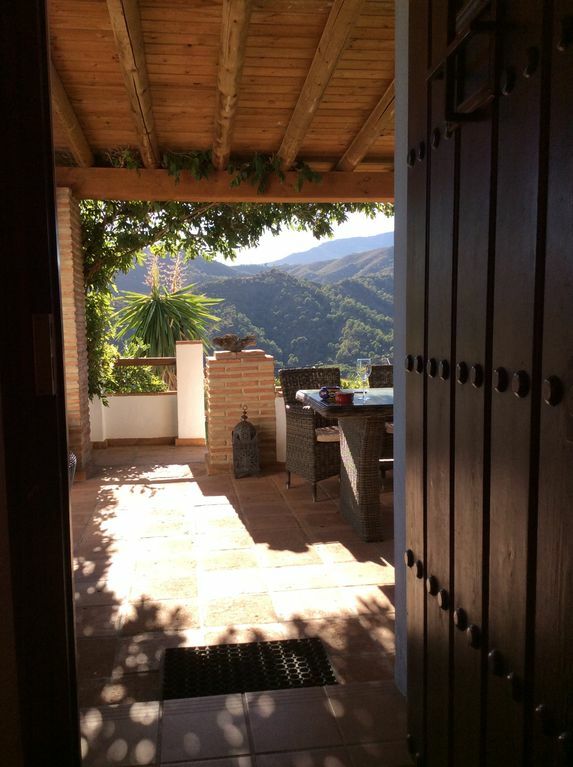 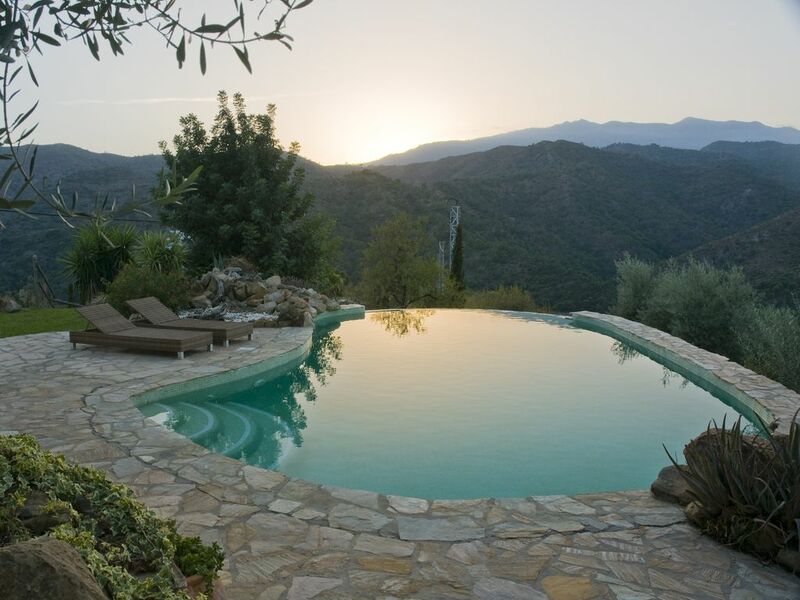 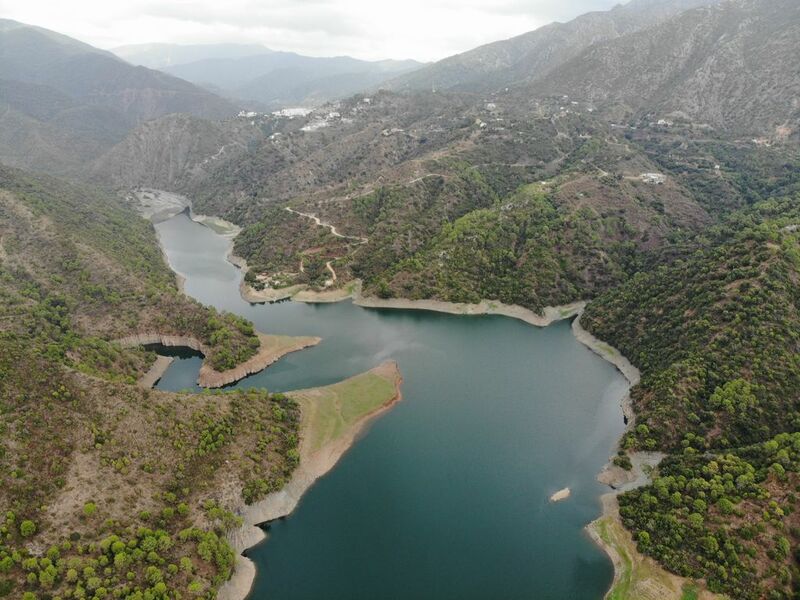 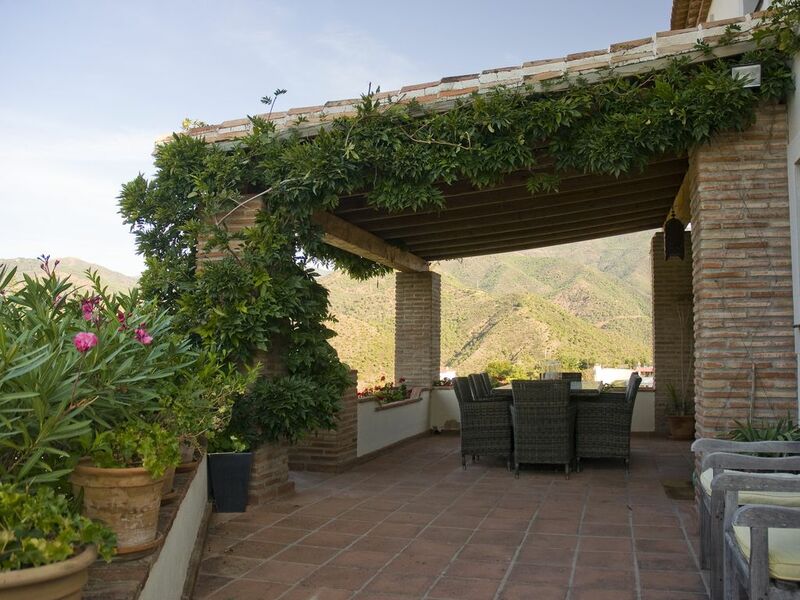 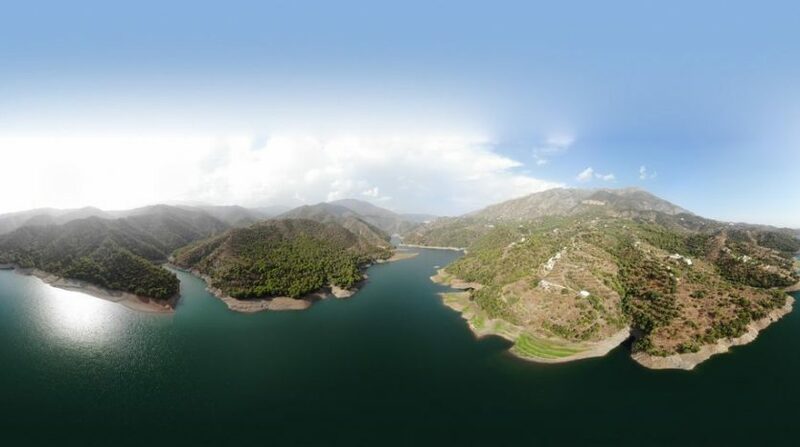 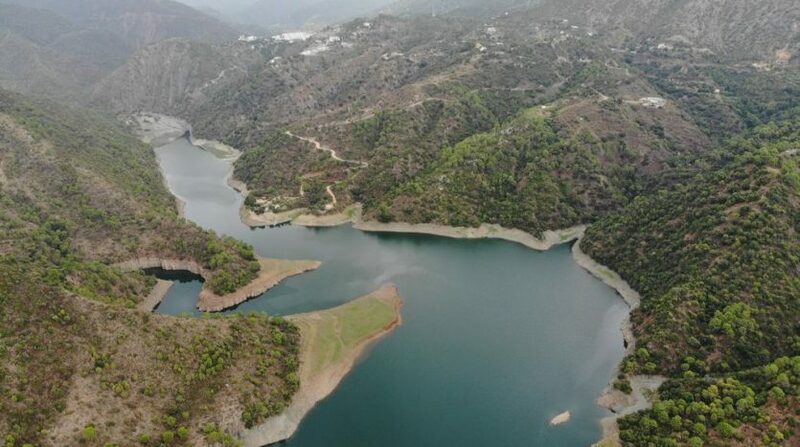 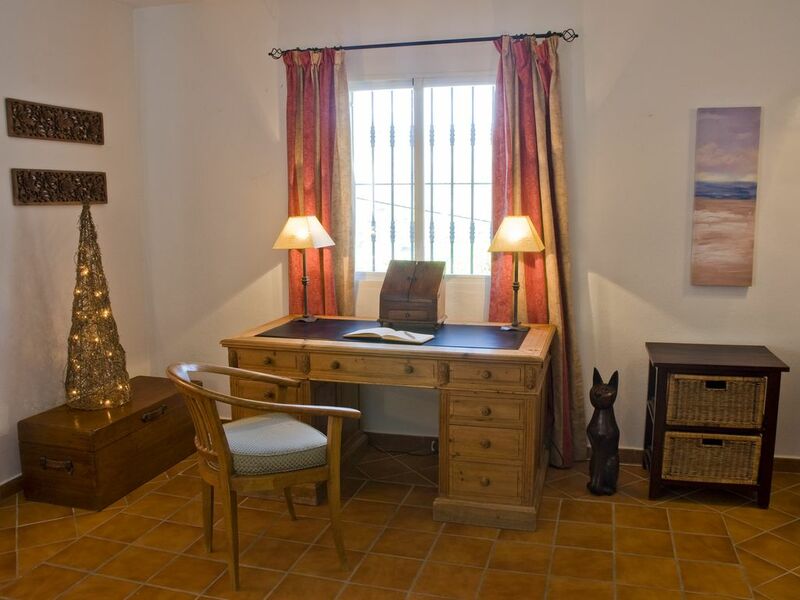 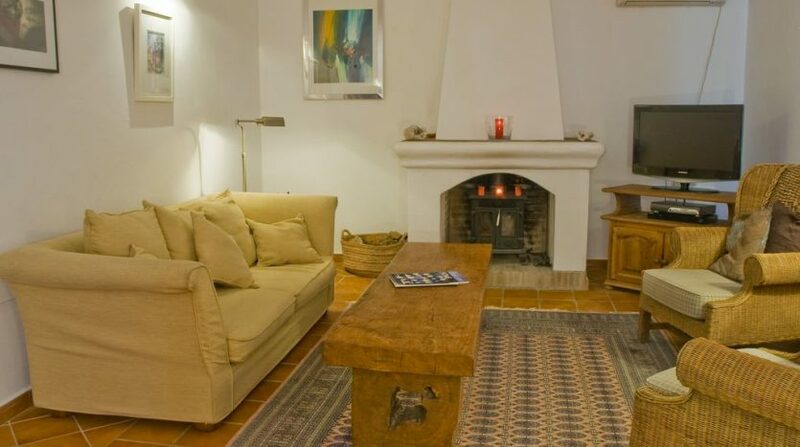 The property is located within the Sierra de las Nieves Natural Park (so beautiful it has been declared a UNESCO Biosphere) and offers easy and challenging walks as well as horse riding and guided Jeep and quad bike tours. 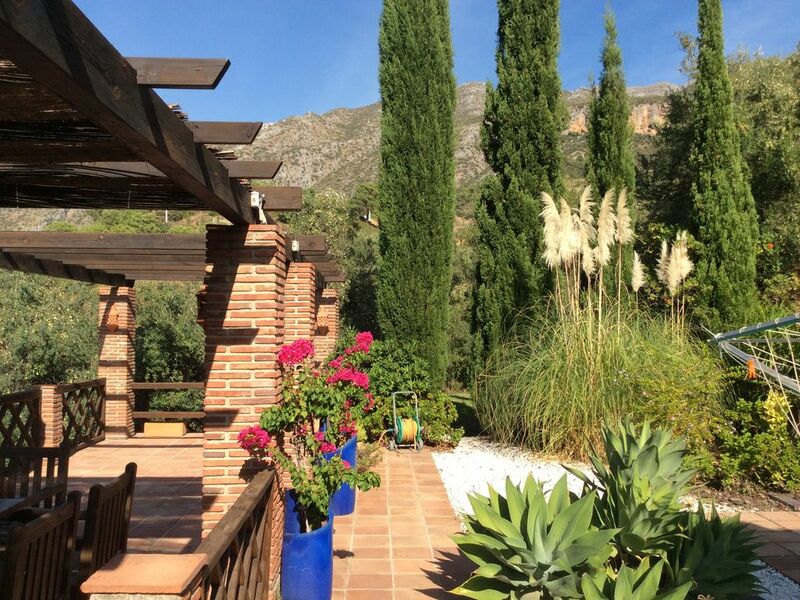 The countryside has an incredible range of spring flowers and fauna including Golden Eagles, Ibex, and wild boars. 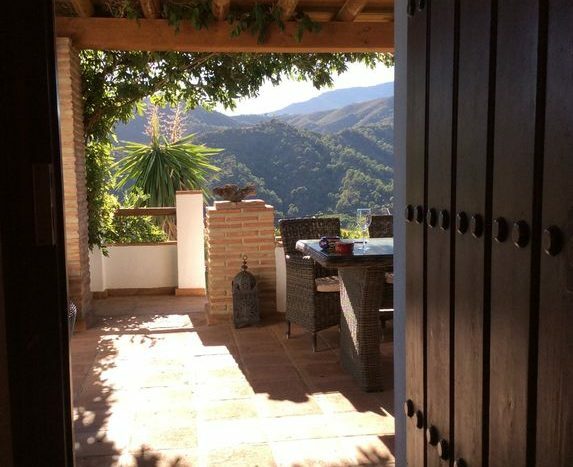 The city of Malaga is steeped in history but enjoys many modern facilities including a busy commercial port and the regional airport. 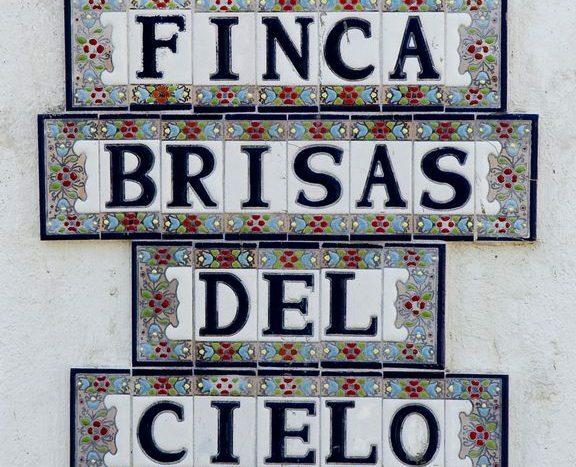 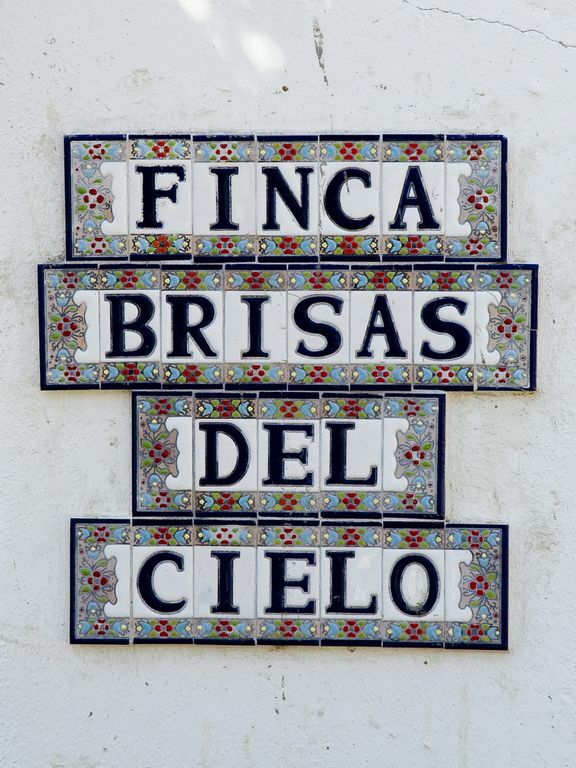 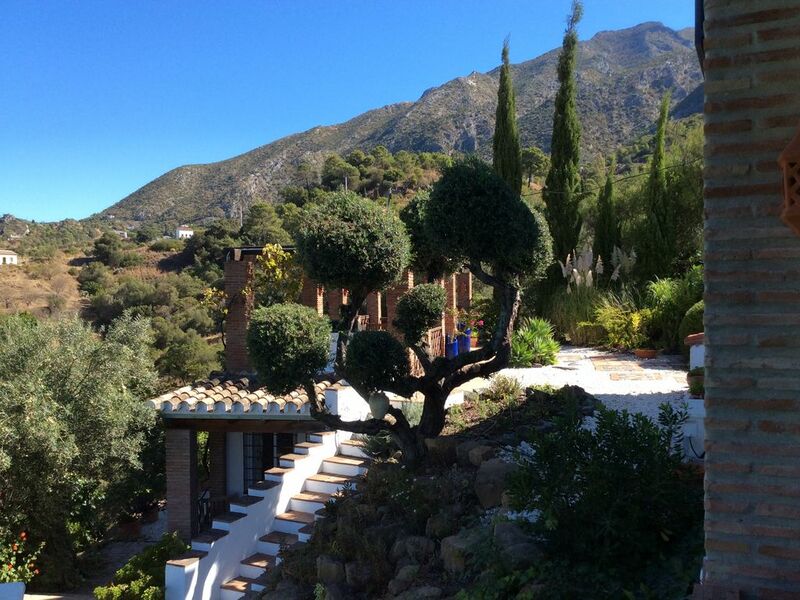 The other Pueblo Blancos of Mijas, Casares and Benahavis are all nearby and worth visiting. 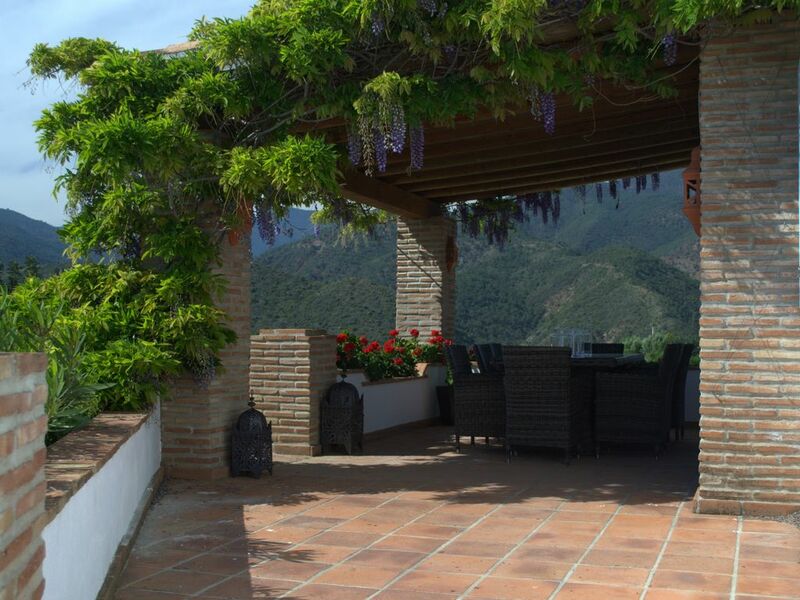 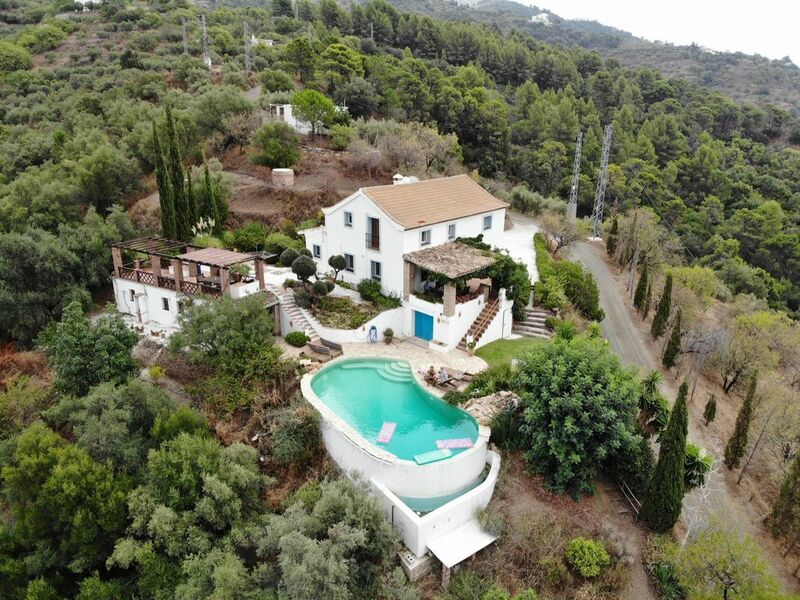 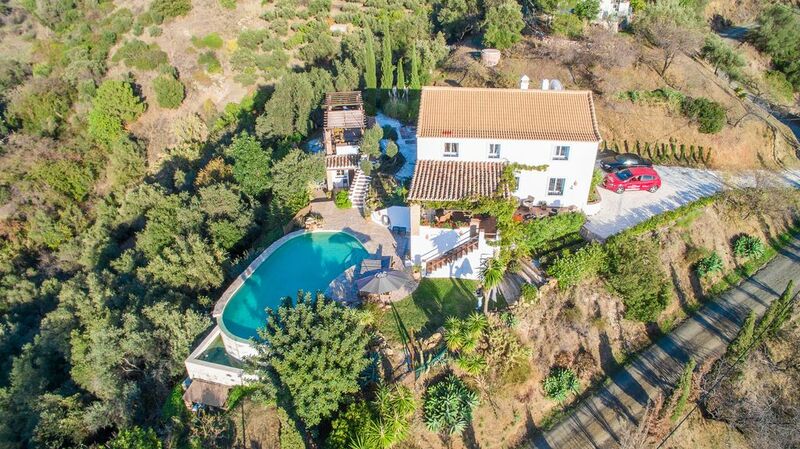 This lovely home really does offer the best of both worlds – a terrific location overlooking a lake and with peace and tranquillity on your door step but the bustling coastal resorts of Marbella and Puerto Banus are just 10kms away. 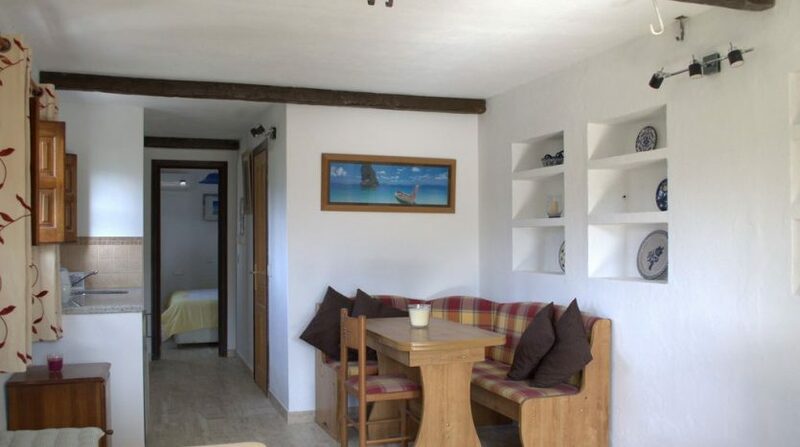 The property is presented beautifully and would make a comfortable year-round home however, it can also be enjoyed as a holiday home. 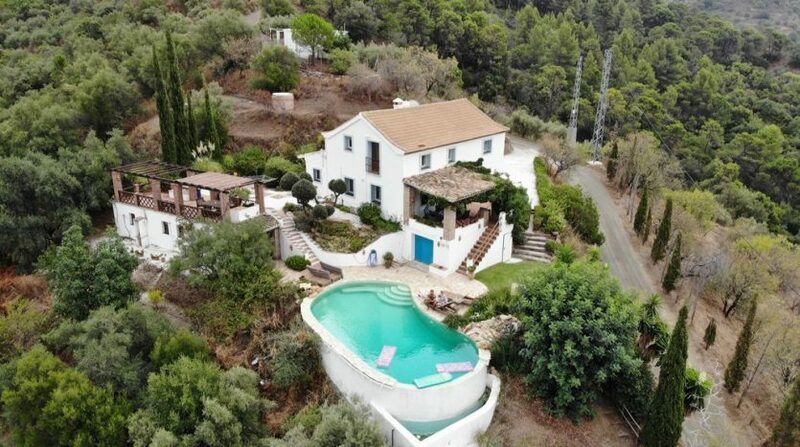 It can also generate a very healthy level of income if desired – with a tourism licence in place as well as existing marketing, it is ready to be passed on to new owners. 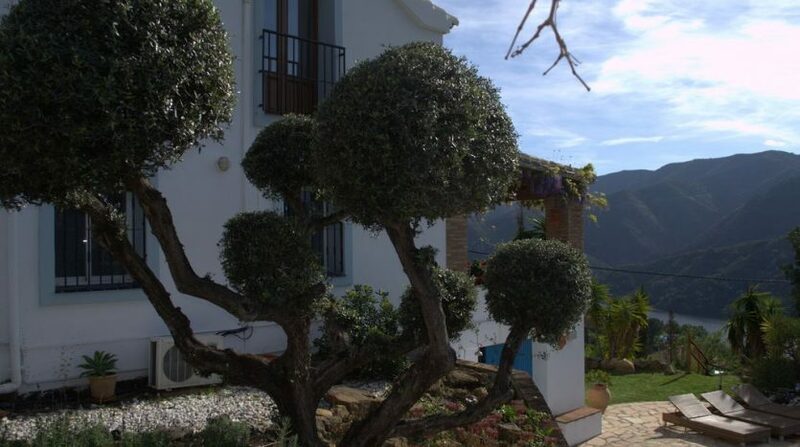 If you would like to know more or would like to arrange a visit, just drop us an e-mail and we can introduce you to Gordon, the owner who will be happy to answer any questions or to show you around.